Kevin Proft is a staffwriter for the ecoRI News. 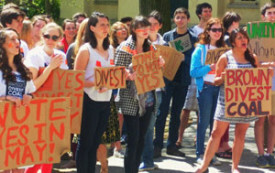 At semester’s end, many student leaders involved with campus divestment campaigns will graduate. But the struggle grows stronger.